There are several reasons why I like lotions. Not body lotions, mind you.. I'm talking about the Asian version of toners. They're usually the first step after cleanser to prep your skin for the other skincare after it. In contrast with toners, many lotions aim to hydrate and they're less harsh on skin. There are also different ways to apply it like patting in, using a cotton pad or massaging it in until it's absorbed. However, did you know you can also use lotions as masks? 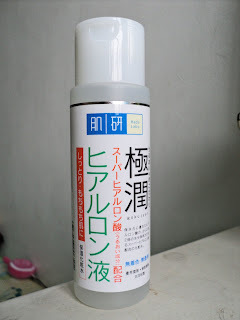 I still have a bottle of Hada Labo Super Hyaluronic Acid Moisturizing Lotion but I don't use it anymore. Since I was bored of my facial masks, I decided to use it as a mask cos their masks are pricey and I'm kiamsiap. First method is using pill/compressed masks from Sasa. You can find these at Daiso & online too. Hard to believe a whole facial mask is packed in there. Small KFC containers are really useful. I think I used about 5-10 ml of the lotion. Just keep adding until there is leftover liquid. Open it up and apply like a normal mask! 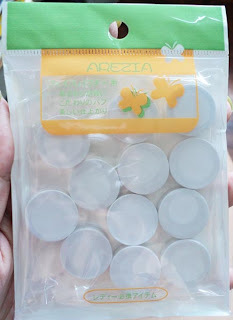 Btw, this pill mask is slightly more pricey so the quality is better. The cheap ones are thicker & tend to dry faster. As usual, pat in any extra essence to help it absorb. Another way would be to soak cotton pads and place them all over your face. 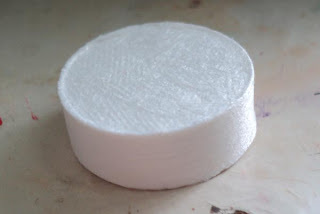 Cotton pads are easier to find but you would have to use many pieces and they may fall off. Oh, why don't you use it anymore? That's my HG product for moisture. It's not moisturizing enough for my skin anymore :( It used to be good when my skin was dehydrated. 1 drop was too much then. Now, even 5 drops is insufficient. Guess my skin got used to it. But I'm certain it did help balance my skin back then. Wow, your skin is amazing!! I would have to buy this from Sasa if I want to get my hands on it. Someday when I have extra moolah!! nice, I am using it right now as toner, it was good. I will try to use with paper mask then. hehe, your kiamsiap comment was so funny! 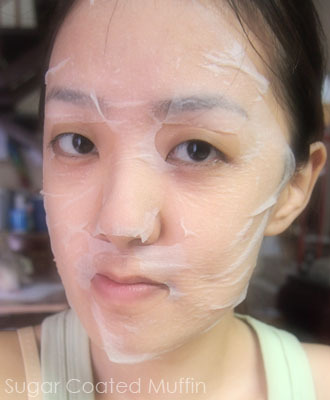 Amazing of sasa to come up with those compressed masks, and such a good idea to use the Hada Labo lotion. This I've got to try, especially seeing you amazing your skin is! I wish my camera had a function like that. :'D Haha!